is an engaging action-packed game of exploration and discovery for the whole family. Hiding clues is as exciting as searching and finding treasure. An heirloom quality toy. Your kids will travel to places like Fort O'Patio, Tabletop Mountains and Tubby Hotsprings! A great way to add a little imagination into their (and your) day! 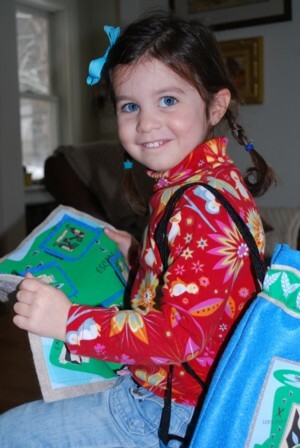 Made in the USA from Eco-Fi felt (made from recycled plastic bottles). 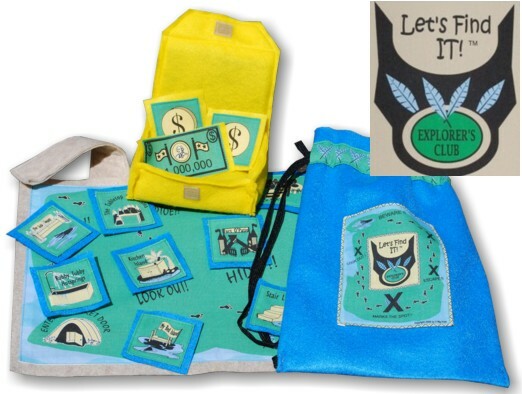 includes: Explorer�s Club backpack, treasure map, treasure chest, 8 clues, 3 pieces of treasure, and instructions for variations on the theme.